Irving Shipbuilding Inc., located at 3099 Barrington Street Halifax NS B3K 5M7, is part of the J.D. 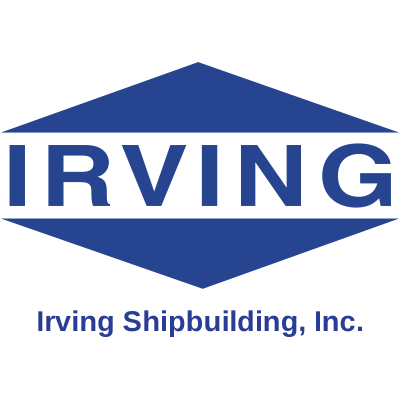 Irving Group of companies and is in the business of building quality ships and repairing vessels. The company's primary site is Halifax Shipyard, with three other locations in the Maritime Provinces. Irving Shipbuilding is currently working on a number of significant projects for the Department of National Defence. The Senior Platform Systems Engineer will be responsible for engineering activities related to the Canadian Surface Combatant (CSC) Project at Irving Shipbuilding Inc including ship structures, general naval architecture, stability, seakeeping, maneuvering, weight, and ship hydrodynamics. This will include, but is not limited to the collaborative development and review of deliverables that may be provided by Subcontractors as well as the development of corresponding prime contract deliverables. This position will participate in Integrated Product Teams (IPT) in partnership with the Warship Designer and Combat System Integrator. This role will report to the Team Lead, Structures CSC. This is a (1) permanent full-time role located in Halifax, NS. Assist with facilitating and overseeing subcontractor development of design deliverables and technical purchase specifications relating to ship structures and outfitting. Facilitate and oversee subcontractor development of design deliverables and technical specifications relating to structures to be developed in support of the build process including, cradles, temporary transportation and lifting structures, specialized jigs and other structural and outfit products required in the build process. Assist with change management activities which impact with ship structures, hull outfitting, naval architecture, classification society approvals, and certification from certifying authorities. Assist with the review of ship structural arrangements, analysis, and class comments in technical design reviews. Ensure the design products adequately reflect facility limitations, capabilities, and build methodology. Participate in the development of processes and procedures related to Platform Systems Engineering with focus on structural design, outfitting, naval architecture and production activities. Propose design and process improvements related to vessel producibility, shipyard safety, and production performance Develop and fostering client and subcontractor(s) relationships. Participate in negotiations with equipment and material vendors and support the review of vendor design products and vendor information. Address risk items relating to the structures, hull outfitting and naval architecture areas of responsibility, including identification and risk mitigation planning. Meets the pre-requisites to eventually achieve Professional Engineering status with Engineers Nova Scotia. 15 plus years of ship design experience in the field of naval architecture, ship structural design and outfitting. Experience working on naval combatant design and build projects with involvement in the design, build and seatrials aspects of the lifecycle. Experience working with classification society rules and classification societies to achieve plan approval for vessel designs, structures and products. Experience in the subject areas of ship stability, weight estimating, hull girder strength, superstructures, equipment foundations, tertiary steel items, doors, hatches, ladders and fittings. Experience with designing ship structures, using FEA, in respect to static and fatigue service life based on voyage profiles. Experience with naval areas of shock and ship signatures and the impacts on ship structures. Experience preparing design products for a ship design or major ship upgrade design program. Experience interfacing and working with subcontractors. Strong personal time management skills.